These Awesome Projection Cakes Will Blow Your Mind! Some ladies think that it’s all about the dress, but I beg to differ. I think it’s all about the wedding cake! Actually, it’s all about two people actually loving each other enough to get married not for health insurance purposes, but ya know…cake is a close second. Some wedding cakes are masterpieces all by themselves and can easily steal the show, and these new projection cakes are a great example of that! If I were to ever get married, I think a projection cake would be about the coolest thing EVER! Not saying that I’ll be heading down the aisle, well ever, but still! I might just have to think of an occasion to have a light cake like this. Actually, this Donkey Kong light cake is more my style…. But, these other projection cakes would be pretty awesome too! 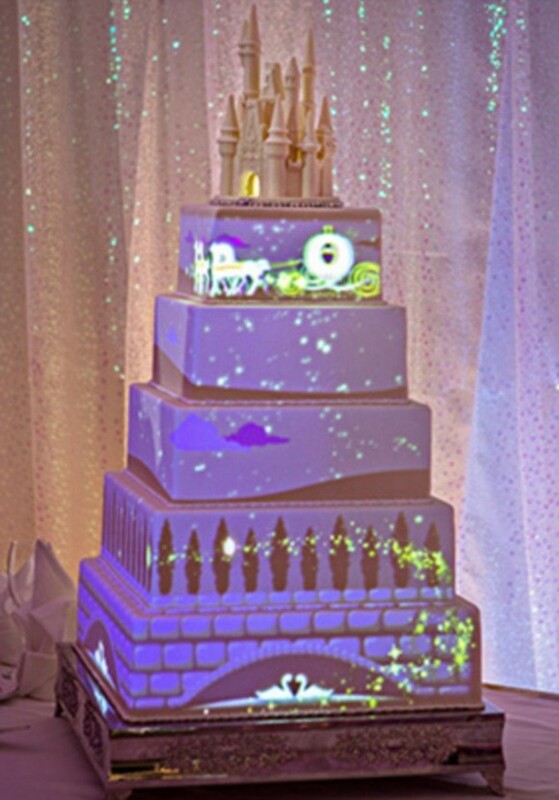 I think pretty much any cake decorated by projection mapping would be the bomb, though! Love these projection cakes? You can’t miss this awesome face projection mapping Kat Von D video! Next Can You Find All of the Hidden Animals Here?